this new book particularly helpful as it walks them through the liturgy of Confirmation. 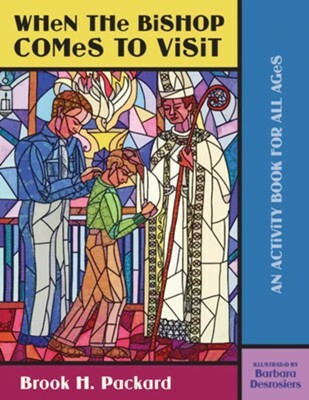 During the actual Confirmation rite, children will have a guide to follow along during the service, making this book serve multiple purposes for young and old alike. I'm the author/artist and I want to review When the Bishop Comes to Visit: An Activity Book for All Ages.